I was getting pretty tired of hauling my Shadespire deck around in my carry case. Not only does the deck take up a sizeable amount of space but sometimes it’s good to be able to get to your cards swiftly to swap things out. Not long ago I was browsing Facebook and came across the work of a chap named Artem, based in Russia. 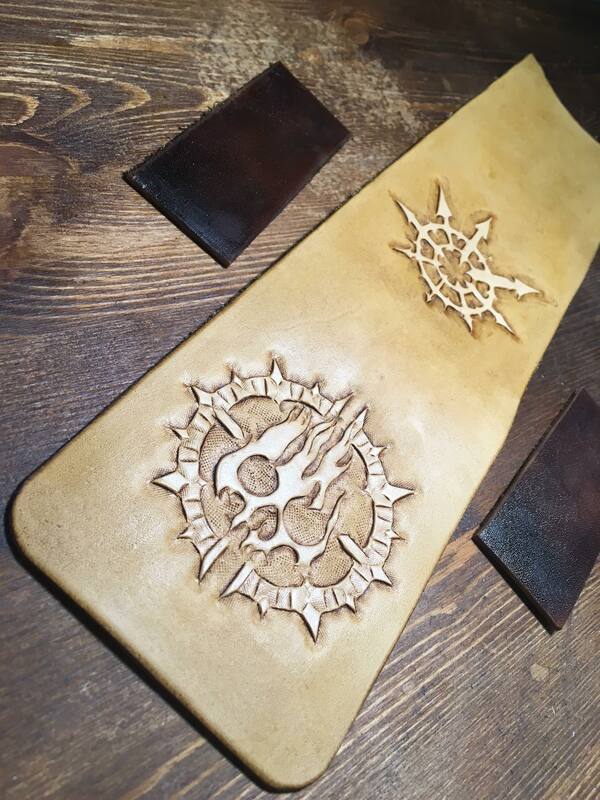 He does leather-work and was showing off a Shadespire deck pouch he had been working on. Naturally, I reached out to him and proposed further work! Artem was a delight to speak to. He was friendly, understanding and very informative about his work and the steps he took. He gave me a step-by-step run-through of the process and kept me up to date with how it was going. 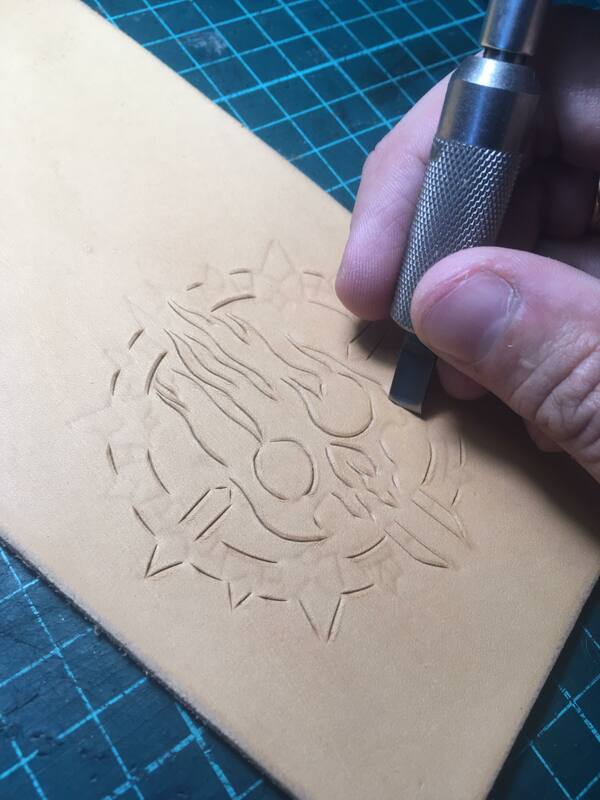 I requested one side of the leather pouch have the star of Chaos and the other have the Shadespire skull insignia on the back of the cards. He was able to produce these with startling accuracy! 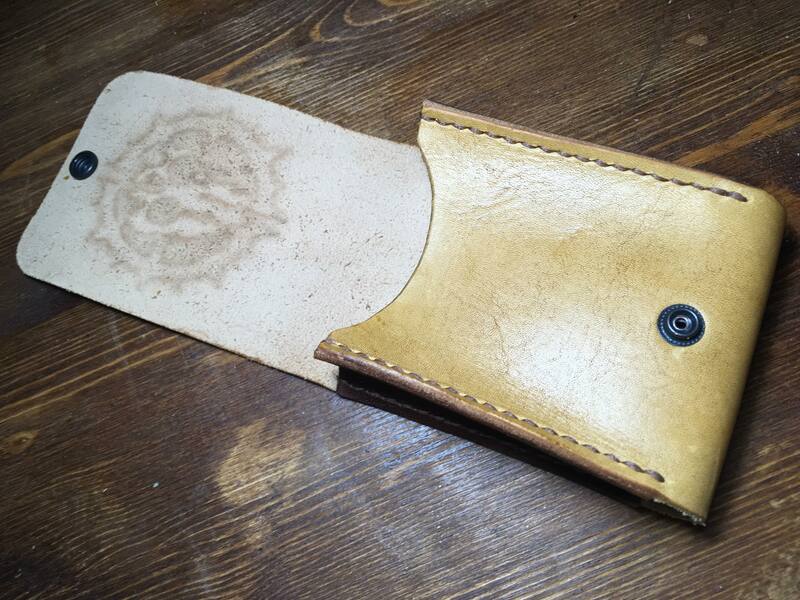 The leather feels firm yet pliable and I’m confident the cards will remain in good condition. 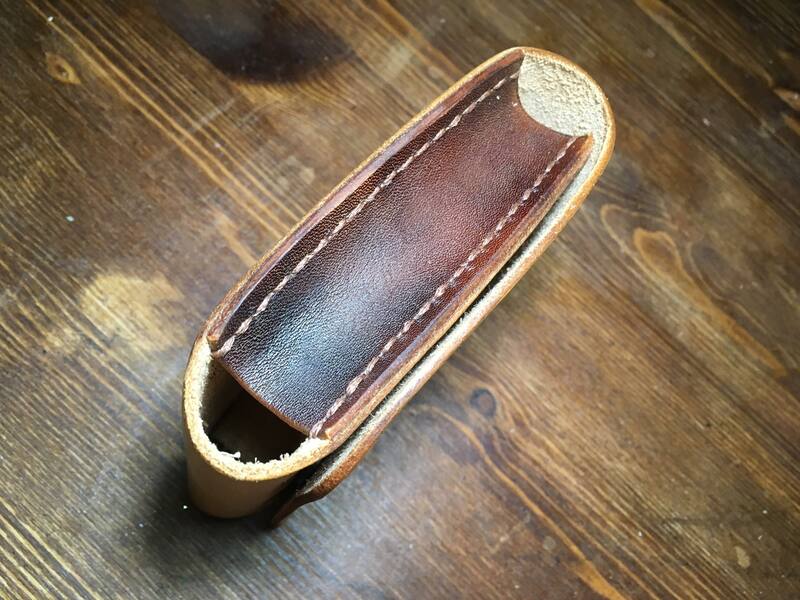 Artem having made more than one Shadespire deck pouch has clearly nailed the size. A deck fits in here very comfortably. The pouch could hold a maximum of around 37 cards which is a very safe amount, though as a Sepulchral Guard player, sometimes it gets a little tied! I’m assured the leather will get a little looser over time if I keep it filled so hopefully this won’t be an issue for long. Not only does it feel like my cards are safe but it just looks absolutely excellent. Previously to getting this I was clamouring to get a deck box from a tournament, but this feels to have infinitely more character! There’s something very, very nice about having a custom piece as this to carry around. It oozes style and looks of the highest quality. The fact it was hand-made honestly impresses me to no end! Clearly, Artem is good at his work. I’d advise anyone who wants a good, custom pouch or piece of equipment like this to contact him. Good things come to those who wait if you don’t mind the time it takes for him to produce it and ship. 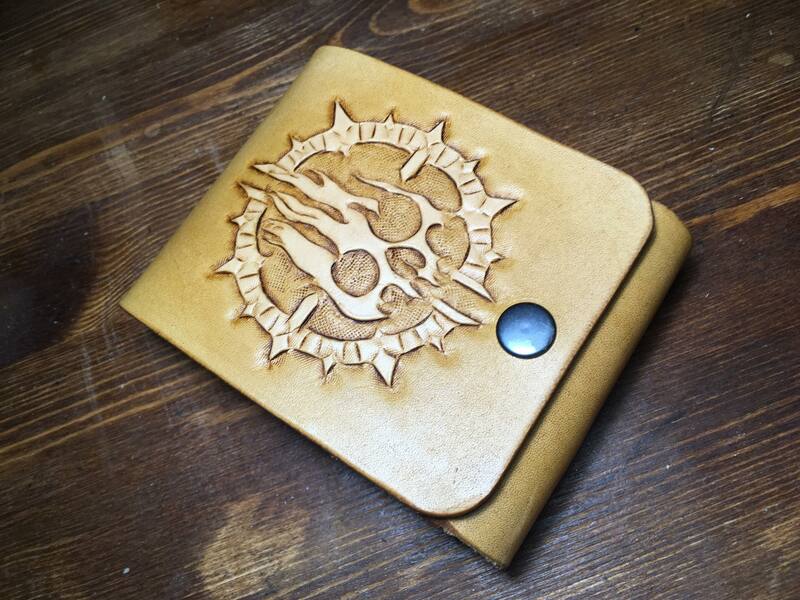 I say chuck out your old deck box and nab yourself a custom Shadespire deck pouch with some real appeal. Should a new warband come out in the near future that I absolutely become enamoured with, I’ve let him know that I’ll be in touch to request a second pouch. Want to keep up to date with all things great and small in tabletop? For the latest updates be sure to keep up with our Facebook, too!